Human proBNP, BNP and NT-proBNP: diagnostic and prognostic biomarker of heart failure. 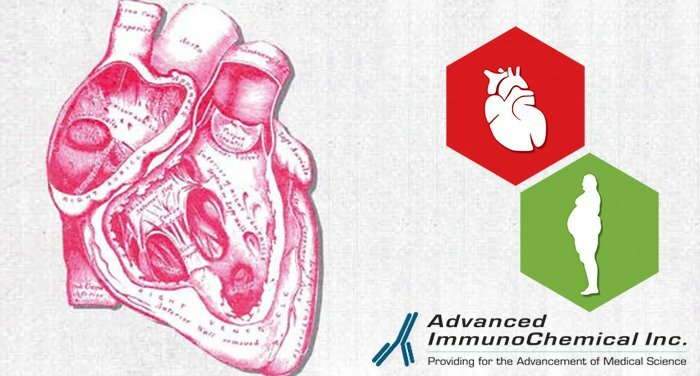 - Advanced ImmunoChemical Inc.Advanced ImmunoChemical Inc.
Home » Article » Human proBNP, BNP and NT-proBNP: diagnostic and prognostic biomarker of heart failure. Brain natriuretic peptide (BNP) and the N-terminal part of the BNP precursor proBNP (NT-proBNP) are established diagnostic and prognostic biomarkers of heart failure (HF). HF is a severe clinical and public health problem that is characterized by an increasing prevalence and economic cost. Chronic heart disease, hypertension and diabetes are among the known risk factors and the prevalence of HF is also higher for those people aged over 65 years. HF is associated with significant morbidity and mortality. B-type natriuretic peptide (BNP) is a peptide hormone whose increased levels are often associated with critically ill heart failure patients (1). This family of natriuretic peptides, which also includes N-terminal proBNP, is responsible for maintaining homeostasis in the heart, producing urine, and widening blood vessels, among other functions, has shown to be useful in diagnosis of heart failure and the severity of cardiovascular diseases (2). Increased levels of BNP in the blood can allow physicians to determine whether or not a heart patient needs more critical care, assisting early diagnosis of serious cases of myocardial infarction as well (1, 2). NT-proBNP testing is useful in the clinical setting because it assists early detection of the potential for in-hospital mortality in patients with heart failure (3). BNP and NT-proBNP is helpful in determining and perfecting therapies for cardiac diseases, monitoring the course of the disease, and assessing more accurate risk factors in individual patients. We also offer a New Novel Single Epitope Sandwich (SES) assay for precise quantification of circulating BNP and proBNP in HF patients.